New Brunswick has one of the highest smoking rates in Canada. About one in every five adults in New Brunswick uses some form of tobacco product. The number one way to improve your health is to avoid using tobacco products. Tobacco and nicotine have a detrimental effect on so many different parts of your body. If you smoke or chew tobacco, it’s time to quit; and if you don’t, choose not to start. How many reasons can we count to quit smoking forever? Firstly, tobacco in the form of cigarettes is the most addictive drug in the world today. Once you start, it’s hard to stop. If you’ve tried to quit in the past and failed, there is nothing “wrong” with you and you are not doomed to smoke forever. Many ex-smokers attempted quitting multiple times before they were successful. Smoking affects insulin, making you more likely to develop type-2 diabetes. In addition to nicotine, cigarettes and other tobacco products (like pipe tobacco, cigarillos, cigars and chewing tobacco) contain over 4000 other toxic chemicals. Smoking puts you at higher risk for a heart attack. Smokers get colds, flus, and respiratory infections more often than non-smokers and suffer more severe symptoms, thanks to all the toxins trapped in their lungs from tobacco smoke. Smoking increases your risk of forming blood clots. Blood clots lodged in the brain cause strokes. Tobacco isn’t just bad for the smoker. Those around you—including your children, your family, your partner and even your pets—are affected by your second-hand smoke. Smoking stains your teeth and fingers. Not attractive! Smelling like an ashtray isn’t particularly attractive, either. 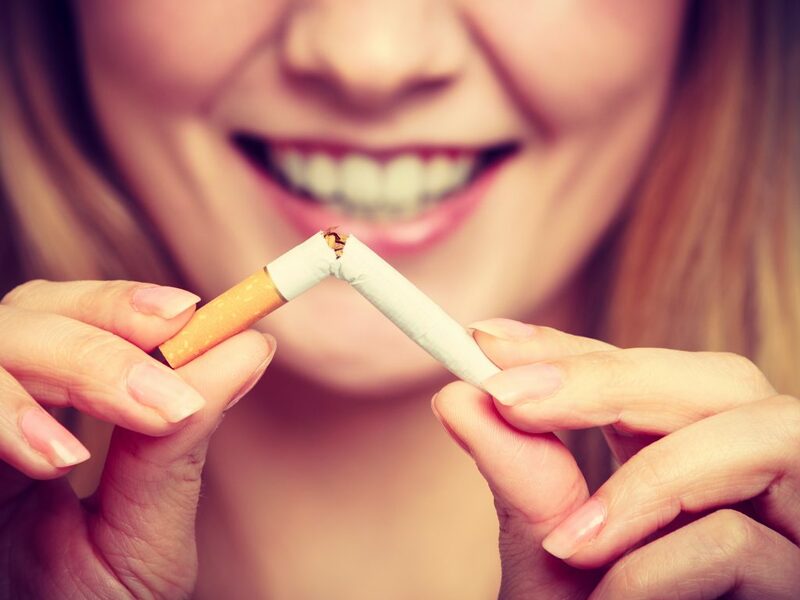 Smoking causes premature aging, including wrinkles and yellowed skin…do you see a trend here? Corticosterone is the body’s stress hormone. It lowers the effects of nicotine. In summary, that means that if you’re under a lot of stress, you’ll need to smoke more often to feel the same effects. In conclusion, the more you smoke, the more you experience items 2-10. And tobacco doesn’t just hurt your health–it hurts your wallet, too. What could you buy with the money you currently spend on tobacco products? Smoking isn’t worth the cost it takes from your bank account and from your health. Make a plan to stop smoking today. Your body will thank you!